In January 2016, Kymeta Corporation—a leading-edge satellite antenna manufacturing company based in Washington state—announced that their Series D investment round closed with $62M in project funding. A detail that was extremely promising to investors was that one of these late-round investors was Toyota Motor Corporation. Their partnership signaled that investors could soon expect to see real advancements in the field of Intelligent Transportation Systems (ITS). Because the world’s multimodal transportation infrastructure is becoming increasingly crowded, investments in the companies advancing these systems are becoming increasingly strategic. 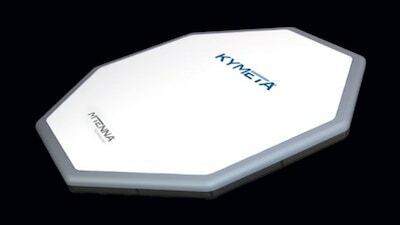 Now, nearly a year later, Kymeta is poised to launch its first product—the mTenna. The imminent launch of this product has early stage space technology investors everywhere watching anxiously to see if Toyota’s investment will prove to have truly helped Kymeta tap into a major market opportunity. The mTenna, a flat-panel software-defined antenna, promises capable, scalable satellite connectivity in a mobile-ready package. Part of the interest in mTenna is due to the unit’s unique “metamaterial” construction. This means that components of the antenna are built with highly-engineered materials specifically designed to produce unique properties in the constructed product. In the case of the mTenna, the metamaterials magnify the unit’s ability send and receive high-bandwidth data while on the move. This is a feature with enormous implications–not only for surface transportation—but also for aeronautic and maritime markets. The mTenna is smaller, less costly, and more energy-efficient that conventional satellite antennas, and is expected to be commercially available, albeit in limited quantities, in early 2017. To further cement their partnership, Toyota and Kymeta unveiled a new concept car at the Detroit Auto Show in January this year. The Toyota “Mirai” is outfitted with Kymeta’s mTenna technology and boasts not only broadband download speeds, but also heightened security and coverage—all while drawing only 12 watts of power. Toyota also revealed one of their 4Runner SUVs which, once fitted with Kymeta’s prototype mTenna, has demonstrated the ability to livestream, video call, and perform other data-heavy tasks while on the move without disruption in coverage or compromise in quality. The financial endorsement underscores Toyota’s intent to be a part of the growth projected within the ITS sector over the next handful of years: Specifically, a compound annual growth rate of 12.7% through 2024. This particular venture/investor relationship provides a solid example for how strategic investment partnerships between space-sector and non-space-sector companies can produce real value—by extending both a venture’s financial and product-launch runways. 1. Boyle, Alan. "Bill Gates and Other Investors Give $62M Boost to Kymeta Satellite Antenna Venture." GeekWire. GeekWire, 11 Jan. 2016. Web. 28 Nov. 2016. 2. Henry, Caleb. "NSR: Phased Array Antennas Worth $710 Million By 2025, 'Critical' for LEO Success - Via Satellite -." Via Satellite. Access Intelligence Satellite Group, 19 Aug. 2016. Web. 28 Nov. 2016. 3. Henry, Caleb. "Kymeta Plans 2017 Release of MTenna Product Line." Via Satellite. Access Intelligence Satellite Group, 17 June 2016. Web. 28 Nov. 2016. 4. Toyota Motor Corporation. "The Future of Mobility." Toyota Global Vision. Toyota Motor Corporation, Aug. 2014. Web. 27 Nov. 2016. 5. Kymeta Corporation. "Kymeta Delivers Sustained Industry-First Performance Levels" Kymeta. Kymeta Corporation., 13 Oct. 2016. Web. 01 Dec. 2016.